When you'd rather not write what you know. Edmund L. Andrew's beat now includes his own economic meltdown. The New York Times reporter has penned a harrowing nine page account on how he joined the ranks of millions of Americans trapped in mortgage debt, and the nightmare is far from over. "Nobody duped or hypnotized me," Andrews writes in the paper's magazine today. "Like so many others -- borrowers, lenders and the Wall Street dealmakers behind them -- I just thought I could beat the odds." As an economic reporter for the Times, Andrews writes that he should have known better. He'd penned stories on so-called "liar's loans" and other examples of too-good-to-be-true mortgage financing during the housing boom. For the past six years, Andrews has covered Fed Chairman Alan Greenspan and his successor, Ben Bernanke. He also wrote about the dot com crash in 2000 and earlier economic crises. "I know a lot about the curveballs that the economy can throw at us," Andrews writes. Yet, he says he got in over his head because he was "in love" and "the money was there." After a disastrous marriage, Andrews writes that he reconnected with his best friend from high school. The friend later became his new fiancee, and the two decided to move in together in a nice D.C. neighborhood. Andrew's broker Bob said he could secure a $500,000 loan for the house even though the writer owed over $4,000 a month for alimony and child-support from the previous marriage, leaving him with take home pay of $2,777 a month. Andrew's girlfriend was unemployed too. No matter: Bob said he "specialized in challenges" and was "here to enable dreams." Eventually, Andrews and his girlfriend got behind on payments and racked up $19,000 in credit-card debt. Bob "helped" the couple refinance to pay off the credit cards, leading to skyrocketing mortgage payments for the couple. The resulting stress has severely strained their relationship, Andrews writes. 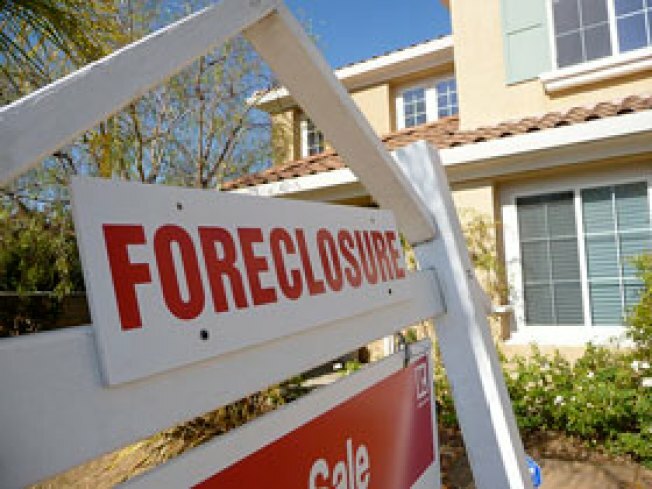 Today the writer is eight months behind on his mortgage, and waiting for Chase to call him back to modify his loan as a last ditch effort before foreclosure.